College freshman Claire Danvers has had enough of her nightmarish dorm situation, where the popular girls never let her forget just where she ranks in the school’s social scene: somewhere less than zero. When Claire heads off-campus, the imposing old house where she finds a room may not be much better. 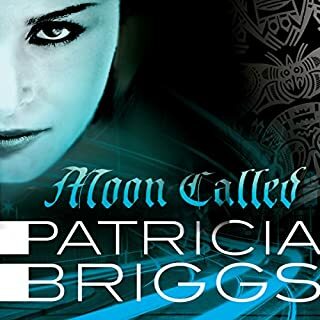 Her new roommates don’t show many signs of life, but they come out fighting when the town’s deepest secrets come crawling out, hungry for fresh blood…. Great book, bring on the rest! Yes, very much so!- It is edgier and grittier that the other vampire sagas out there. The focused narration by Brianna Knickerbocker perfectly suits the slow build up of the story! What was one of the most memorable moments of Turned? The moment when Caitlin realizes this will not be an ordinary move to a new school! Which character – as performed by Brianna Knickerbocker – was your favorite? The entire book was very moving- but I loved the initial meeting between Caitlin and Jonah! 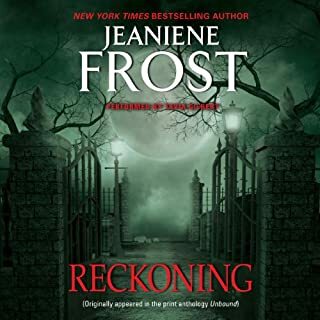 can't wait to listen to the next books in the series and hopefully Brianna Knickerbocker will be the narrator! This is such a unique view of the vampire world and a great beginning to the series. It got my attention from the very beginning and I didn't want to stop listening. Caitlin is 18 and starting another new school. She starts to notice she is changing in strange ways. She is stronger and faster and she is sooo thirsty. She doesn't have a clue whats going on. Things happen......and Caitlin is running for her life. She is being chased by cops and vampires at the same time. Caitlin unknowingly gets herself in the middle of a vampire cold-war with only one vampire on her side. Caleb seems to be the dark brooding type and also seems to be bored with his long life until he sees Caitlin survive something she shouldn't be able to. The characters are interesting, some nice and some are pretty evil. There are lots of good action and fighting scenes throughout the book that I totally enjoyed! This is a great book!! 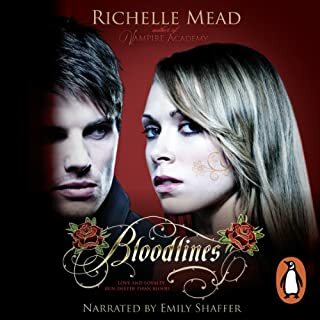 Great story line but the narrator Brianna Knickerbocker was so slow in speaking that I had to turn the speed up to 1 1/2 times just to get through the book. Her voice just dragged and dragged plus I have never met a teenager who spoke that slowly in my life (having two teenage girls). After turning the books speed faster I could finally enjoy the storyline and it had some great twists. I'd recommend it to anyone who's read and liked The Vampire Diaries or anything similar. This is a good one to move onto. I'm going to see what the other series is like too. Probably the dead end alley scene. Anyone who has read it will know what I mean. I hate it when people put spoilers in reviews, so no I won't say any spoilers here. Tried to listen all in one sitting. It isn't too long, but it's not that short. Too short. Good it's a series. What did you love best about Turned? I have a disability and being able to listen to the book instead of reading it was an awesome experience for me. What other book might you compare Turned to and why? This is the first book I have had the pleasure to listen to and it was easier than taking the time to read it the first time. What does Brianna Knickerbocker bring to the story that you wouldn’t experience if you just read the book? I sometimes miss words or phrases and have to read them more than once to be able to understand the whole meaning of the sentences. It was easier to listen to it because if I needed to listen to it again i could just hit the back button and it automatically holds my place for me to pick it up again. Brianna was a great reader, I could understand everything she said. She also has a very pleasing voice. She does a great job. 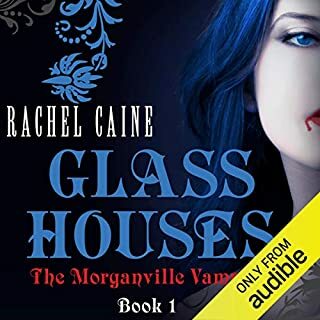 I loved this book and I cant wait to be able to hear book number two in the Vampire Journals.Morgan is an awesome writer and leaves you wanting more. The book captivated me from beginning to end and kept me wondering what was going to happen next. Once I got started, I didn't want to stop listening. This book is like going on one of the best roller coaster rides ever. All of my feelings came into play and it left me wanting to know more about the characters. I can actually relate to them.. Kudo's to Morgan for keeping me entertained. This book is a must read for anyone who is into the Vampire genre. You get a little action, some mystery and a love story to boot. This book has it all. I give it 5 stars. What disappointed you about Turned? Would you ever listen to anything by Morgan Rice again? Who would you have cast as narrator instead of Brianna Knickerbocker? The entire series (and the series that directly follows) are a must read for any fan of supernatural fiction! loved it, was a Good new vampire series. 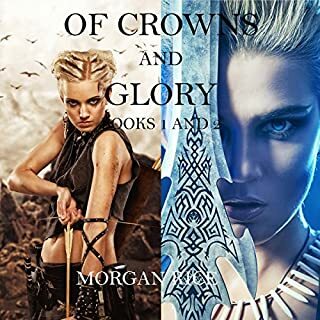 I wasn't sure if I was going to like the book enough to try but after a while I was enjoying the book tremendously by the end I had to keep reading the next titles in the series. No, the narrarator was terrible. Would you be willing to try another one of Brianna Knickerbocker’s performances? Could you see Turned being made into a movie or a TV series? Who should the stars be? Yes, but I'm not sure of the actors. The narrarator speaks WAY too slow! I'd rather have spent the time listening to something else, but it was an OK way to distract myself while doing the dishes. About halfway through it was truly difficult to keep going, but I wanted to finish it so I could write an honest review. Has Turned turned you off from other books in this genre? 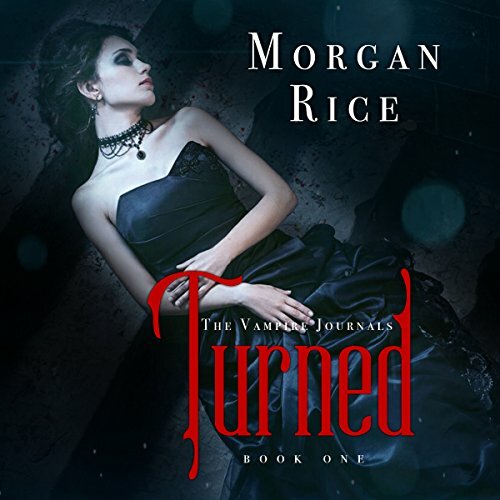 No, vampire books will always will always be one of my favorite genres, but it sure turned me off Morgan Rice! Ugh, just ANYONE who doesn't sound like a seventeen year old snotty little girl with a distinct Californian accent. Seriously, ANYONE ELSE. Pronunciation, rythm and pitch were just awful. Needed a little bit more character also. No, please. Those Twilight movies were awful enough. Characters were very unconvincing, plot was kinda meeh. If the writer would have actually put some effort into the story and characters I would have loved it. But in no way am I buying that within an hour of meeting someone, one could declare a deep love and be hurt by their rejection and so on. Just awful character building. It feels a little like the author is just hurrying to skip to the end of the book. Also Caitlin's relationship with her family seems to completely fade away - is very confusing and weird. In summary: Very gripping and convincing in the beginning, but quickly turns to the most ridiculous story I've read.